The beautiful game is the world’s most popular sport; it is hard to go through a normal day without hearing about how a club is doing or how a player’s form is doing. Everyone has an opinion on which line-up they would use, but alas they don’t manage the team. But what if you could? Imagine, the success you could bring to your favorite club, you could bring your hometown’s local, obscure team and make it into a European powerhouse. 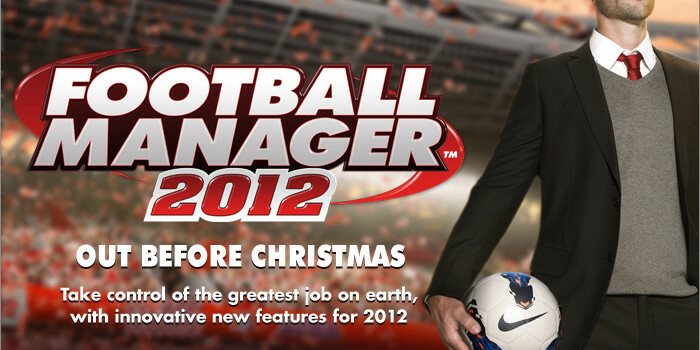 This is what football manager 2012 lets you do. And all you need is a basic grasp of how football works. Football manager isn’t a game for those who know everything about football. Last year my knowledge of football extended to only what I had gleamed from FIFA 10, I knew who was good because football is so prevalent in the world and the world cup had just finished. Yet I still managed to get Tranmere into a European powerhouse, the only difference is I now know football. This is what FM does; it immerses you in the world of football and makes you feel part of the world. The new football manager is slick and streamlined, where the back and forward buttons used to work so that you went to the last section you visited it now takes you to the last page you visited. Whilst it may not seem like much little tweaks like this have improved the gui vastly. To help people with the new features and also the players who are new to the series SI games have released a new tutorial system which lets you see how to play the game. It guides you through the essentials to be a manager. Football manager is not only a simulator; it is a game of stories. Everyone who plays this game has a story which they want to tell people. My feats as Tranmere manage has now become a bit of a joke within my friends as I am now renowned to be amazing at FM. However this year I also have some great stories. I managed to lure Tevez to Stoke and get them 5th in the league, then switching to Tottenham I again took him from my former team and managed to win the league with Modric and Kaka dominating the premiership’s midfield. But as I said everyone has a story they want to tell, and the hunt for more ludicrous tales is so very addicting and every FM fan site has a section devoted to them. Community is also a core part of FM. Downloading unofficial facepacks, and team kits and an even higher degree of authenticity to the game; there are whole armies of editors and skinners which leaves you to pick and choose the best. If you had imagined a European league system where the best teams in Europe play in one league with promotion and relegation, then you will probably find one in one of the numerous forum dedicated to FM. Or you could try and make it yourself with the database editor which is in the library of Steam Tool’s. To sum up whether you have hardly know anything about football manager or you consider yourself to be the next Alex Ferguson, FM is for you. However I must warn you it is very, very addictive, but this can only be the sign of a very good game that everyone should play.